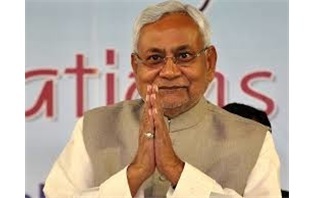 The foundation stone for nine irrigation projects worth Rs 926 million has been laid in Bihar’s Lakhisarai district by Chief Minister Nitish Kumar. A total area of 23,905 hectare will reportedly be irrigated from these nine projects, which will use water from the nearby rivers to irrigate the farmlands in different parts of the Lakhisarai district. Construction work on the nine projects is expected to commence within a week, and to be completed in the next 15 months. Also, works on the state government’s pending irrigation projects have been accelerated after trifurcation of the Water Resource Department (WRD). In order to divide work among the officers and engineers, the WRD has been trifurcated into three wings: Irrigation, Flood control and Monitoring. Before the trifurcation of the WRD, a majority of the engineers were engaged in flood control-related works, resulting in a delay in irrigation projects. Post the trifurcation, irrigation projects have reportedly sped up, increasing the state’s irrigation capacity.